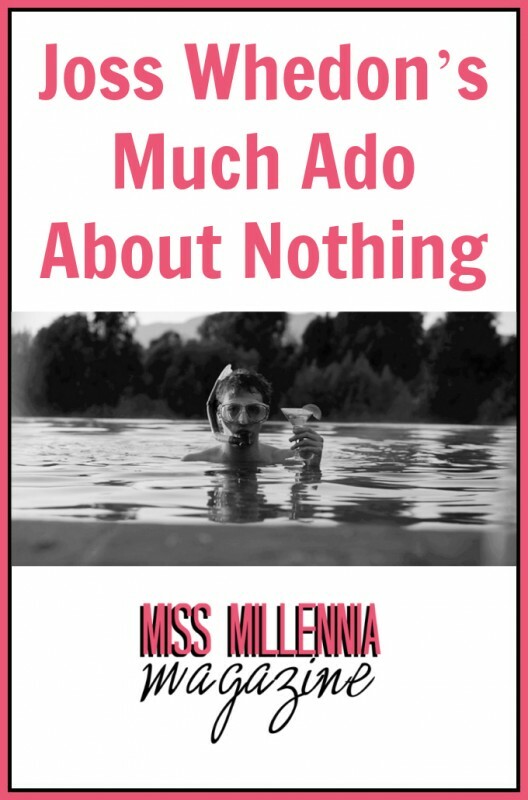 I have a new favorite film, everyone, and it is Joss Whedon’s adaptation of William Shakespeare’s comedy, Much Ado About Nothing. 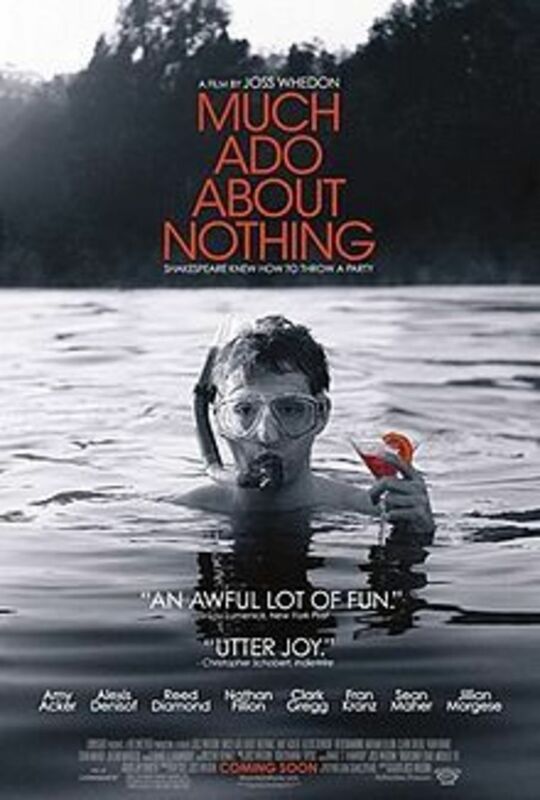 Whedon’s Much Ado About Nothing was filmed in a mere twelve days, due to a limited budget. Surprisingly, this film turned out wonderfully. It was released in North American theaters on June 7, 2013, but was originally shown at the 2012 Toronto International Film Festival. The best aspects of this film were the soundtrack, cinematography, and cast. I have never been so moved by a movie – not even the Lord of the Rings films, which feature breathtaking views from New Zealand. The soundtrack was light, quiet, and powerful, and featured the classic poem, “Sigh No More,” written by Shakespeare. This song was the highlight of the soundtrack and added a whole new layer to the masquerade scene, which would have done marvelously on its own. The cinematography was moving as well. The black and white gave it a sense of sophistication, and the choice in camera angles highlighted important scenes in jarring ways. Perhaps the three most powerful actors from this movie were Amy Acker, Alexis Denisof, and Fran Kranz. All the cast members have worked with Joss Whedon before, but these three shone in their respective roles as Beatrice, Benedick, and Claudio. Amy Acker and Alexis Denisof, both of whom were on the television series Angel together, had a chemistry that truly brought unexpected dimensions to their characters and their interactions. Fran Kranz also breathed life into Claudio who, in many versions of Much Ado About Nothing, is often overshadowed or made into a supporting character. His skill with the Shakespearian language was unbelievable, and he added emotions that took one’s breath away. However the film, despite all these wonderful bits and pieces, had trouble creating a whole out of them. An emotional black and white film based on a Shakespeare comedy could be powerful, but this one just didn’t completely deliver. Whedon used the original Shakespeare text, but delivered it in a completely modern fashion. Not using the theatrical, over-the-top delivery of past Shakespeare adaptations pushed the audience to focus more. Because of this, lines that could have been funny or emotional fell flat. In my eyes, this is a minor qualm. Joss Whedon did well enough with the multitude of pieces to create an amusing and beautiful film. It was obvious that the director and cast had their hearts in this short film project, and the unusual choices that Whedon made created a unique film that will keep people watching. I would definitely recommend this film to any stranger I met, as this was an unexpected and beautiful surprise. Previous Post: « A New Yorker's View of L.A.